FTC disclaimer: I am part of the U.S. Cellular Blogger Brigade and this is a sponsored post. All opinions are my own. November is a great time to put down your razor and pick up your cell phone to raise awareness for cancer. With great devices from U.S. Cellular, like the iPhone 5s, it's easy to track charity donations, take selfies of that growing beard, or even use apps to see what you would look like if you added a beard to yourself. (Not everyone works in a place where they are allowed to grow a beard. My husband works in food service and is required to shave daily.) But with an app he can join in on the fun. Regardless of facial hair or not, you can still use your U.S. Cellular device to promote cancer awareness while on the go. One helpful app is Movember. This is one where you can solicit and track donations for cancer. It has health tips as well. I think the neatest feature is you can create a stop action video of your facial hair growing that you can share with family and friends. And I am sure you want to share that -- at least if you are like 1 out of 4 U.S. Cellular customers who use their device to share photos with others. A whopping 72% of people use their phone to take pictures. A really fun app for this month is Boothstache. You can "try on" different beards and mustaches, and even save the photos to your photo library. Why stop there? I know when I was little I loved taking old magazines and drawing beards and mustaches on everyone. Well, this is the high tech version. Why not add facial hair to all your family, including your pet? Plus all it takes is a shake of your device to see the before/after transformation. Another amusing app is Shave Me. In this app, you can play around with hair styles and hair color. It even offers tools to help you know what you might look like if you were clean shaven or had tattoos! A fun game in the spirit of No-Shave November is Crazy Shave. You can open up a virtual barber shop and cut, shave, and grow hair on a variety of cartoon like characters. 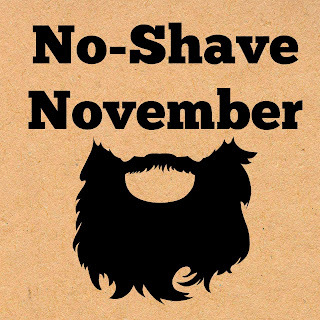 So put down your razor and pick up your U.S. Cellular device to celebrate No-Shave November!